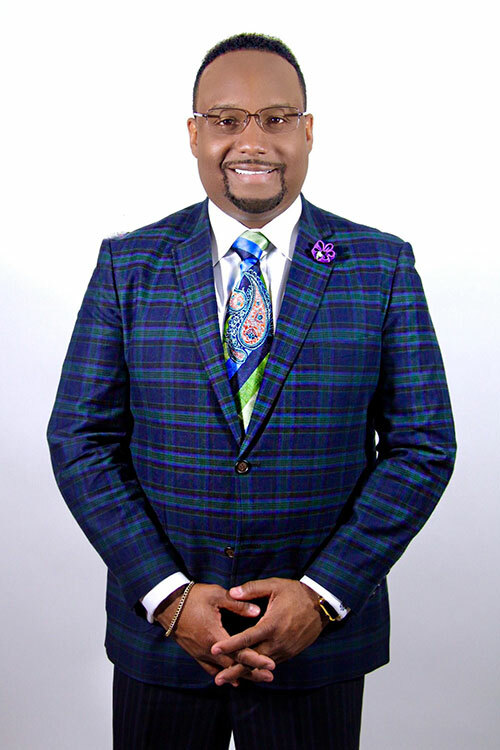 Bishop Orrin K. Pullings, Sr.
Bishop Orrin K. Pullings, Sr., is a fifth generation preacher of the gospel, having his early roots in the Church of God in Christ. This pastor, preacher, teacher, and life-coach is changing the lives of people, motivating them to believe in God for the impossible both naturally and spiritually. Bishop Orrin K. Pullings, Sr., is the Senior Pastor of the United Nations Church International of Richmond, VA and Presiding Bishop of the United Nations Church Fellowship. Bishop Pullings' prophetic and apostolic ministry has planted churches in Jamaica, NY, Atlanta, GA, Charlotte, NC, Fredericksburg, VA and across the country. As a noted community leader and humanitarian, Bishop Orrin K. Pullings was awarded the Key to the City by the Richmond City Council. As a result of his faith in action, Bishop Pullings organized free housing for hundreds of the victims of the Katrina Disaster in 2005. His extensive efforts awarded him local and national recognition. Along with Bishop Pullings numerous kingdom activities are his national and international media outreaches, which include multiple webcasts via online streaming, numerous guest radio appearances, and his weekly television broadcasts on The Word Network "Faith Charge ." He has been featured as a guest and co-host on TBN's Praise the Lord, The 700 Club on CBN, Breakthrough and as a regular guest on The Word Network's "Rejoice in the Word". Bishop Orrin K. Pullings, Sr., is the proud husband of Dr. Medina Pullings and proud father of their five children; Orrin Jr., Elijah, James, Zacchaeus, and Medina. Dr. Medina Pullings, is an international conference speaker, Pastor, preacher, wife, mother, mentor, entrepreneur, television host, fashion designer, song-writer, and teacher whose life is reaching many around the world. Having matriculated at John Jay College, Bethel Bible Institute, and F.I. Christian University obtaining a Bachelors in Christian Education, Masters in Biblical Counseling, a Doctorate in Ministry, and a Doctorate of Divinity; Dr. Medina is not only a voice to the Kingdom of God, but a voice to the socioeconomic systems of the world. Dr. Medina along with her husband, Bishop Pullings are the co-founders of United Nations Church International; one church in multiple locations. Included in this sphere of influence as a national voice is the international television broadcast "Faith Charge"; appearances as a frequent host on TBN's Praise the Lord program, and as a guest on multiple christian television networks such as Daystar, Breakthrough, The Impact Network, The Church Channel,700 Club & The Word Network. Her impact on the kingdom of God has favored her to grace the cover of Gospel Today Magazine, Epitome Magazine, and Ladies First Magazine. As the CEO of Medina Pullings Ministries and frequently affectionately referred to as "Jesus Girl", she has established such ministries as The Princess club; an organization focused on mentoring young girls. The epitome of maximized potential she has reproduced her grace, poise, and style as a fashion designer into the "Jesus Girl" clothing line & accessories, and opened the successful "Style & Grace Boutique". Dr. Medina's many philanthropic sacrifices has found her being awarded by the FDIC. She and her husband Bishop Pullings share the joy of parenting five children; Orrin Jr., Elijah, James, Zaccheus, and Medina; and a myriad of spiritual sons and daughters across the world.